My notes and thoughts about Linux, WordPress, PHP and many more. 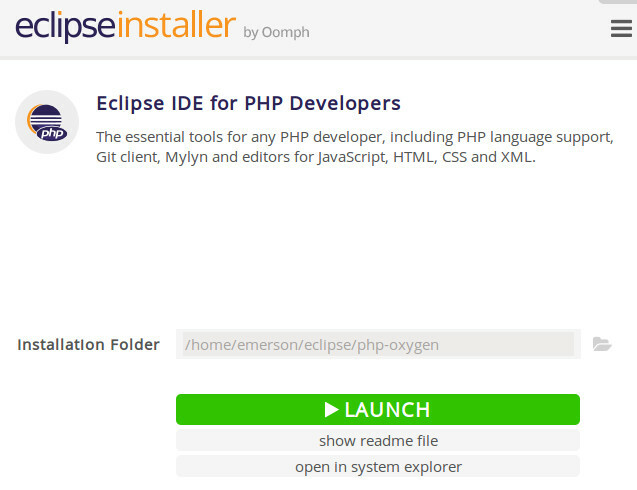 Eclipse is an open source IDE that can used for PHP development. This tutorial shows how to install and update Eclipse in latest Ubuntu 16.04 | 18.04 LTS. This tutorial is tested on Ubuntu 16.04. But these concepts apply to a recent Ubuntu 18.04 LTS and beyond. To get the speed benefits of using Eclipse, you need to update to the latest Java version. This is recommended if you are updating or installing Eclipse. Update your computer software to the very latest version. If you are using LXDE/Lubuntu, this is usually done in Menu -> Software Updater. You will need to agree first to the conditions and then click on the .deb installer for Linux. Download it to your Ubuntu home download directory. This will auto-detect all Java installations in your computer including the latest version installed. You need to use the latest version and ignore the rest so make sure to type the number that corresponds to the latest version ( #2 in my case) see screenshot. Finally run these 3 commands in a row ( make sure to use the correct version in the paths that corresponds to the version you installed). e.g. 11.0.1 in my case. You should get something like: It will show as java 11.0.1. Then you have it correctly installed! IMPORTANT: This procedure should only be used when Installing Eclipse for the first time. This procedure should not be used for updating Eclipse. 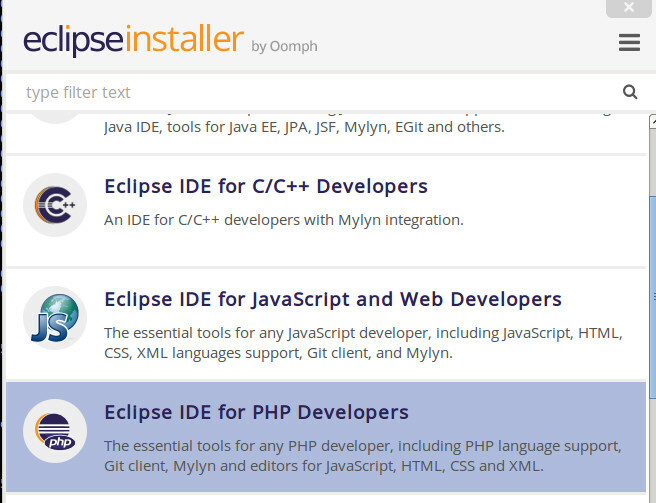 Download the Eclipse Installer here: https://eclipse.org/downloads/eclipse-packages/. Make sure to select 64-bit if you are using computer is using 64-bit. Once downloaded, right click on the package and click “Extract Here.”. 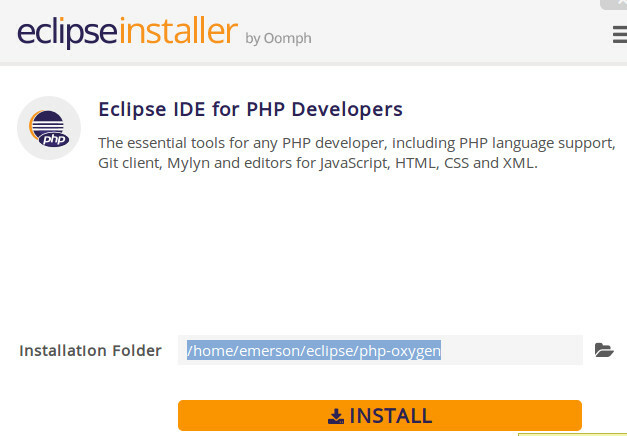 A folder named as eclipse-installer will be extracted. It will take some time to download the package depending on your Internet connection. Also if it ask you to accept certificates, go ahead and check all of those then accept. It will now appear under “Programming” section in your Ubuntu menu. Launch your older version of Eclipse. Enter the name and the URL of the repository, e.g. 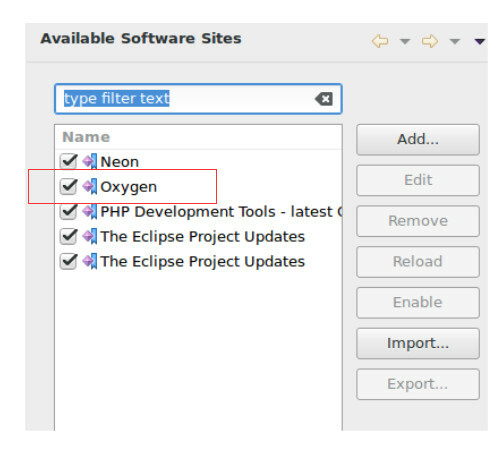 Under release name, find the current release (“Oxygen” as of the time this post is written). Then click P2 Repository. Click OK and then wait until its finished loading contents. You can click cancel and don’t install anything for now. Then restart Eclipse. Once restarted, go again to Help -> Install New Software -> click “Manage”, you should see something like “Oxygen” latest release being added there. Finally go to Help -> Check for Updates. Complete this process and it may time depending on the speed of your Internet connection. At the end of this process, you will have your Eclipse updated. You can see this in Help -> About Eclipse after restarting. This is usually caused by wrong Eclipse update procedure. The solution is to simply go to /home/eclipse/ directory. Find the latest directory that is created there. This is usually the Eclipse folder that you have just installed that is providing an error. Once deleted, you can follow the Eclipse update procedure above.